The Digital Britain has suggested that after 2013 part of the licence fee could be diverted away from the BBC to support other public service broadcasters. As he introduced the Digital Britain report to the House of Commons, the new Culture Secretary Ben Bradshaw confirmed that a consultation would be launched into sharing a 'small part' of the fee. "There is nothing that says the BBC must have exclusive rights to it," he added, insisting to the Commons that he did not like the term 'top-slicing' in regards to dividing the licence fee. "The report did insist, however, that: And we take as a given the importance of an independent, stable, well funded BBC as the cornerstone for the production and distribution of high quality public service content. "The question in the new world is the extent to which there should be the BBC in one 'public service' corner and all other media and platform entities in another corner and what that would mean for consumers and citizens. "And if, as a society, we decide that there areas that we want more than that, that we want plurality that the market unaided will not provide, we need also to decide how to fund it." 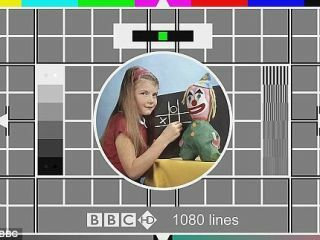 The report contained confirmation that the digital switchover surplus – built up from the licence fee to cover the costs of the switch from analogue – will provide a pot of money for both funding the UK's universal broadband and regional news pilots between now and 2013. On the thorny question of what can be done to fill Channel 4's monetary shortfall, Lord Carter's report rules out the prospect of 'minority privatisation' or direct government funding, leaving the third option of a 'strategic BBC Worldwide / Channel 4 relationship'. "The Government has concluded that minority privatisation, even on terms that provided additional funding over the short to medium term, could not be assured of delivering the core public policy objectives over the long term," said the report. "The Government ruled out direct Exchequer funding for C4, given other public spending priorities. "A strategic BBC Worldwide/C4 relationship would require further structural separation of BBC Worldwide, on which further work is needed, and would possibly require changing the terms on which C4 acquired content rights (which would have had wider consequences for the UK rights regime and the production sector). "However, this work has uncovered the prospect of purely commercial ventures between C4C and BBC Worldwide which are currently still under negotiation." There was also some comment reserved for Project Canvas - the IPTV project currently being discussed by the BBC Trust. "The BBC's role needs to evolve to being a public service content partner with a wider range of other media organisations and an enabler of Digital Britain," added the Digital Britain report. "Its scale and funding means that it has moved successfully into the online, on-demand and search world. But its scale and impact on the market and the ability of others to monetise services in the digital environment require careful vigilance by the BBC Trust." "The BBC Trust is currently deliberating on Project Canvas and within that process it is considering whether, if Project Canvas is approved, it should be on the basis that its specifications do not foreclose commercial operators from providing monetised services via Canvas devices."